Daily Messes: You've Been Boo'd! 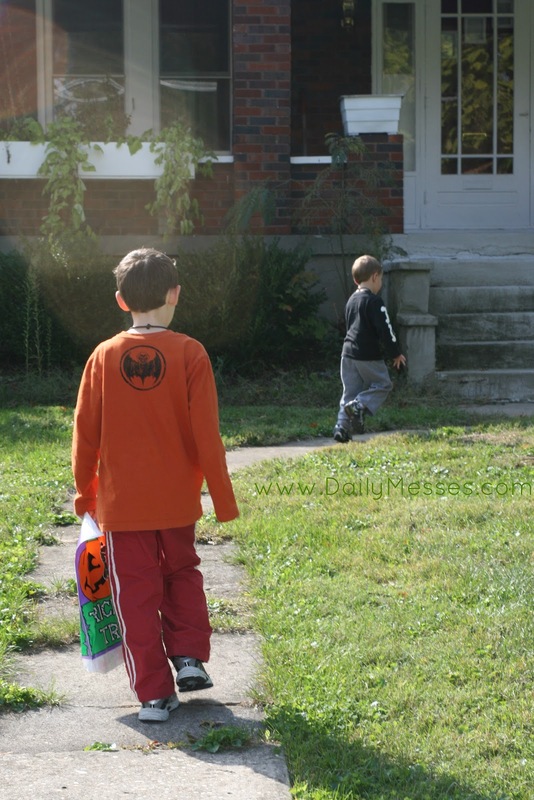 Share the Halloween spirit with your friends, family, neighbors by Booing them! We started the Boo tradition a few years ago. 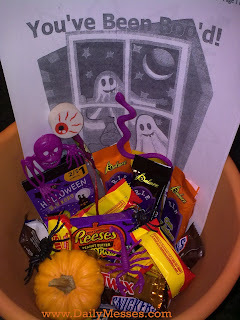 Booing involves making a treat bag and secretly delivering it to your family, friends, and/or neighbors. My kids love helping put the bags together and delivering them. We rarely get Boo'd back, but it helps teach the boys to do nice things for other people without expecting anything in return (you know, to be nice just for the sake of being nice). Each year the bags are a little different. 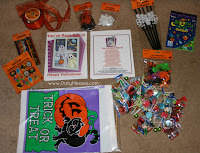 I've used pumpkin plastic pails and Halloween themed plastic goodie bags. (Brown paper lunch bags also work great.) 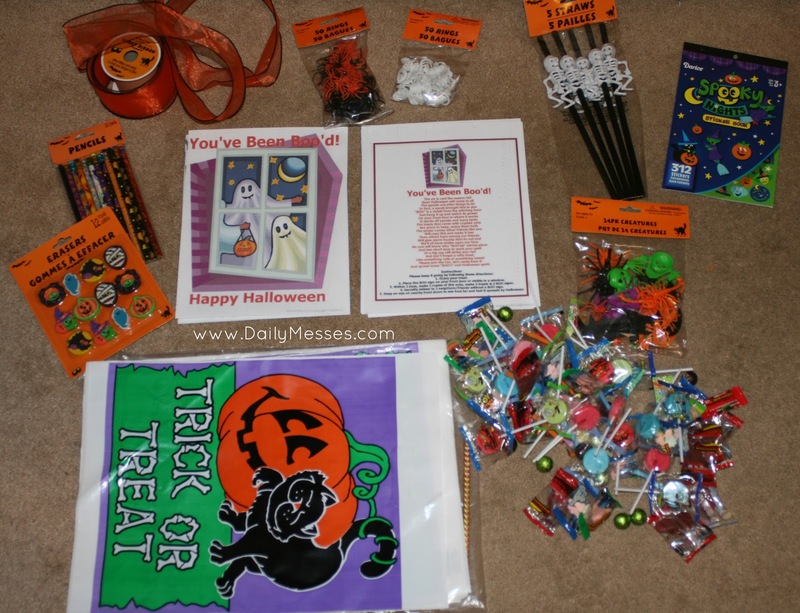 Last year I bought a 50 count package of Halloween bags from Oriental Trading for about $1. The dollar store also usually carries Halloween bags and buckets. The fillers are usually different too, depending on what we find at the stores. The dollar store usually has packs of Halloween themed pencils and erasers (12/$1). If it is for a family member or neighbor with kids, I add in Halloween themed stickers. Some other items I've used before are: plastic bugs/snakes/bats, skeleton bookmarks, spider rings, mini pumpkins, glow sticks or necklaces, Halloween themed games (cards, mazes, etc.). We also throw in candy, of course! 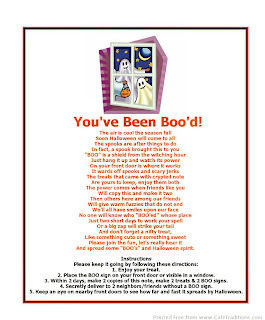 Here's the boo poem I usually include with the Boo Bags I give out. 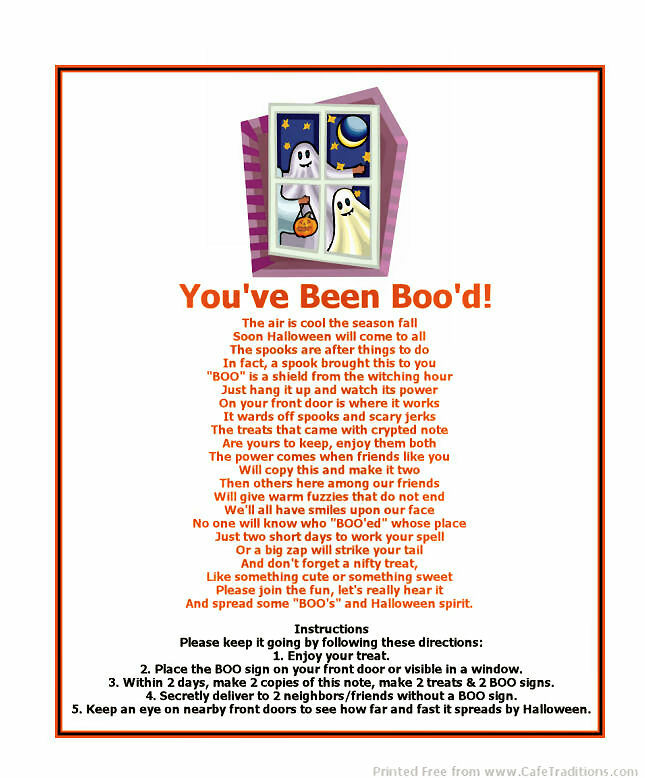 If it's hard to print from here, I included two websites that have boo poems/instructions that you can print out. If you like the post, please vote for me at Top Mommy Blogs! Simply click on the juggling mom at the top right of the page (1 click equals 1 vote).